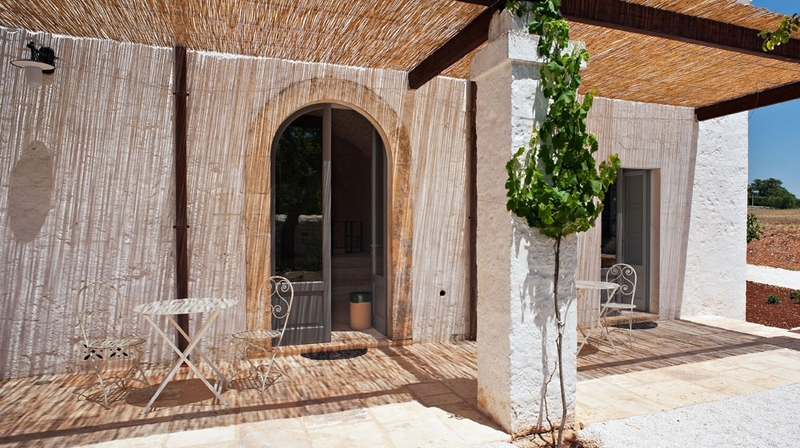 The unique features of the Murge landscape have combined with particular flair in this �800 mansion house, which is located a few km from Martina Franca, the baroque masterpiece of Valle d'Itria, and at a close reach from the main attractions of the area. 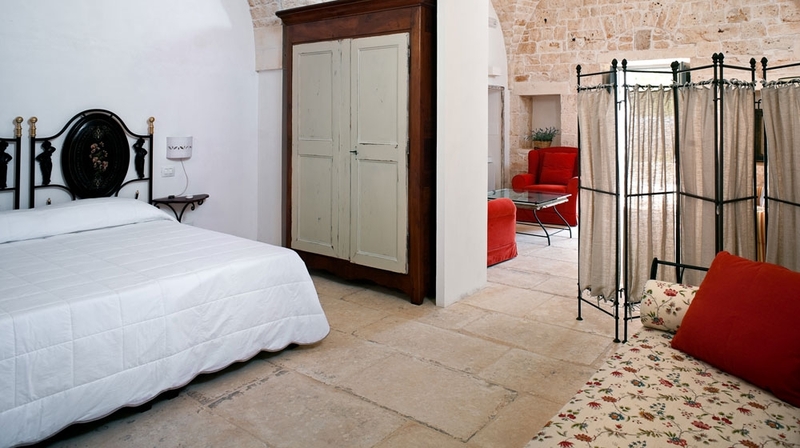 The converted trulli serve as guest rooms and feature lofty stone arches, limestone floors and antique wrought iron furnishings. 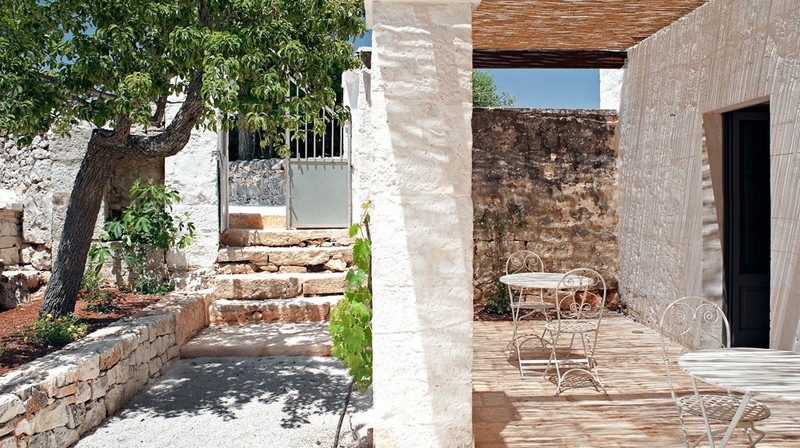 Meals take place in the farm�s former manger hall or alfresco under the stars. 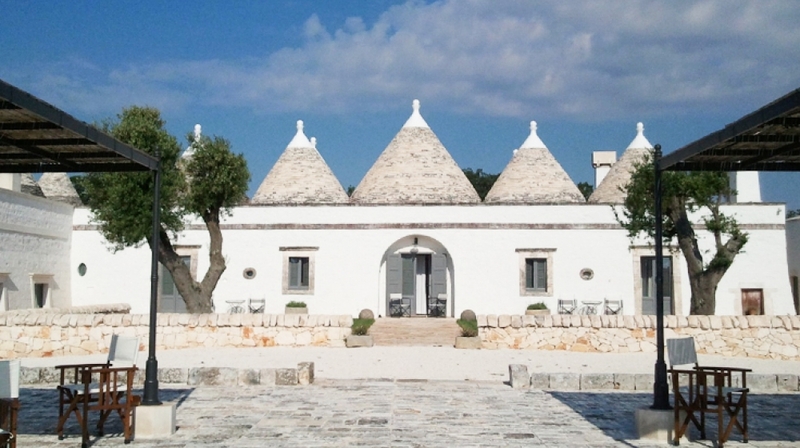 This magical place offers a real slice of rural Italian life, where life in the fast lane becomes a distant memory. 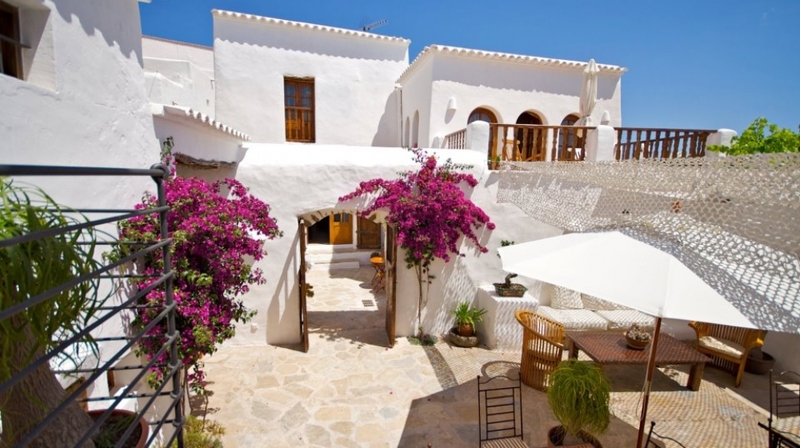 Rolling hillsides and olive groves are dotted with old farms, sugar-cubed buildings and whitewashed villages. 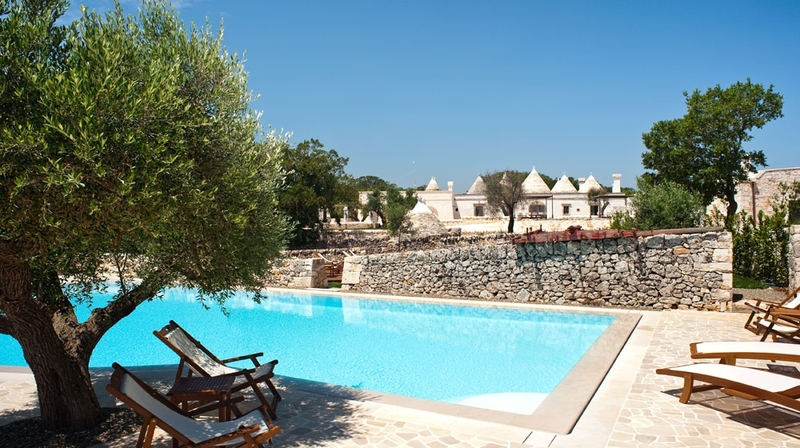 Some might say it's too quiet, but at Masseria Fumarola you'll find a a truly relaxing vibe, where lazy days can be spent by the pool or exploring its vast surroundings with only the bird song to disturb your unwinding time. 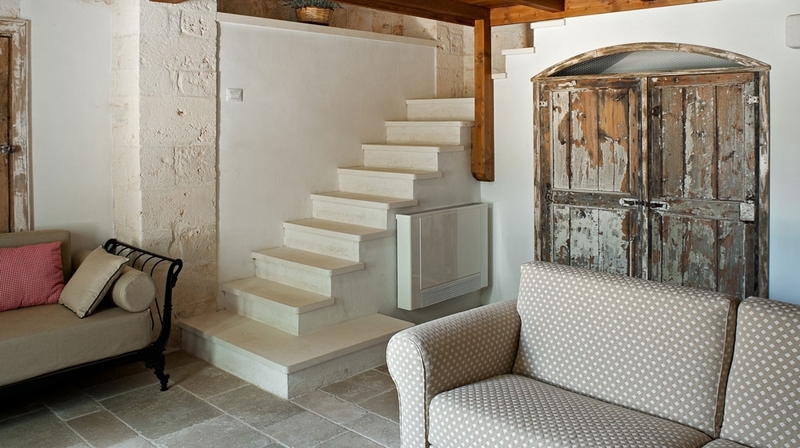 Interiors at Masseria Fumarola blend rustic charm and modern comforts, with beautifully conserved white bricks, high ceilings and vividly coloured furniture. 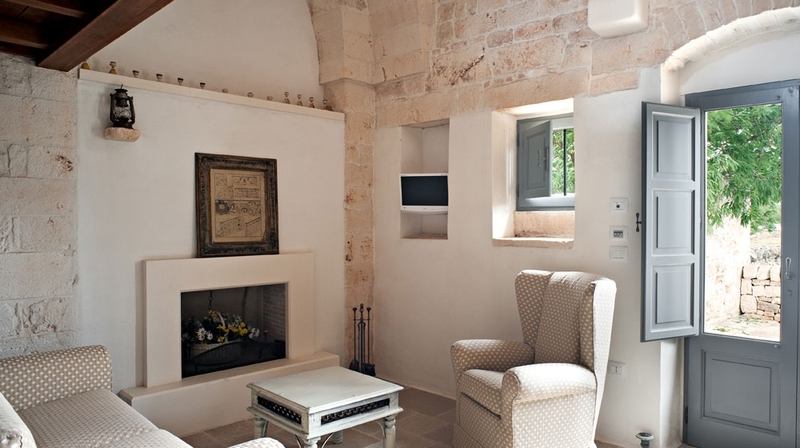 Some guest rooms exude the house�s rural past with ancient ovens and fireplaces, whilst all include complimentary WiFi, air conditioning, and flatscreen televisions. Separate living rooms and front gardens opening up to the vast countryside complete this rural haven. 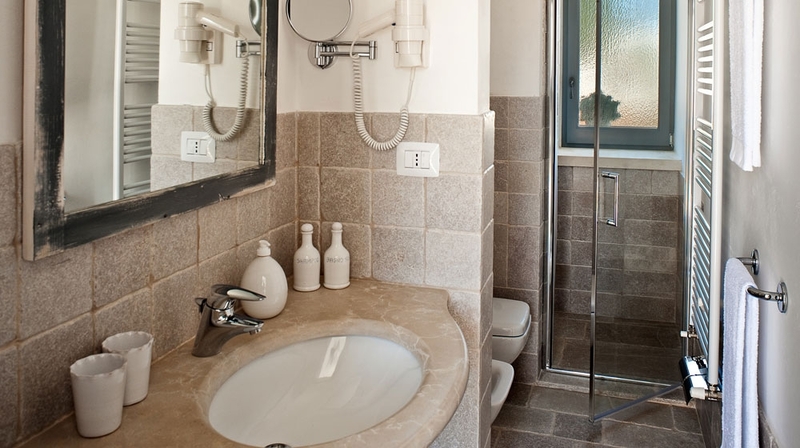 Air conditioning, Outdoor swimming pool, Pets allowed, Private parking, Reception, Restaurant, Bar, WiFi. 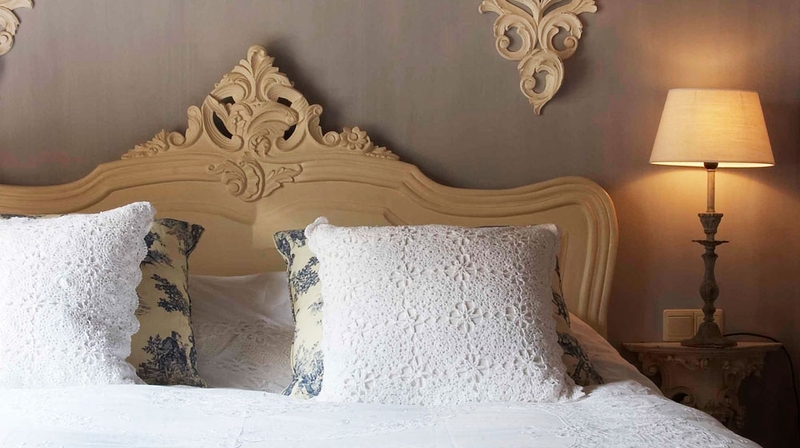 At this charming mansion, guests can awaken to the sounds of birds chirping nearby, or to the scent of a savoury breakfast made up of fresh fruit, cold cuts and pastries. Breathe in the pure country air on a jog around the hotel�s six-hectare woodlands, or take in the afternoon rays by the outdoor swimming pool, surrounded by lovely chestnut trees. Complimentary bottle of local wine. Complete a perfect day enjoying fresh local products and succulent cuisine at the hotel restaurant, followed by indulgent drinks at the delightful bar. Meals are served in the former mangers hall and the onsite chef is a real find. You'll need to loosen your belts when heading home. 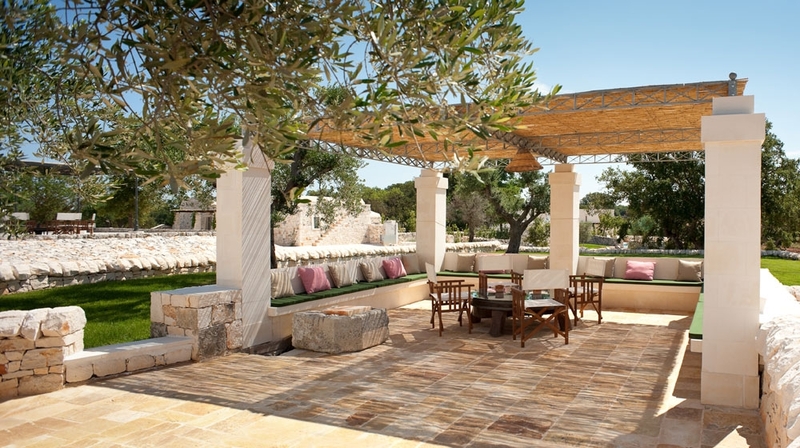 There is a small snug bar inside but the best place to enjoy a chilled glass of crisp local wine is by the pool or in the gardens. 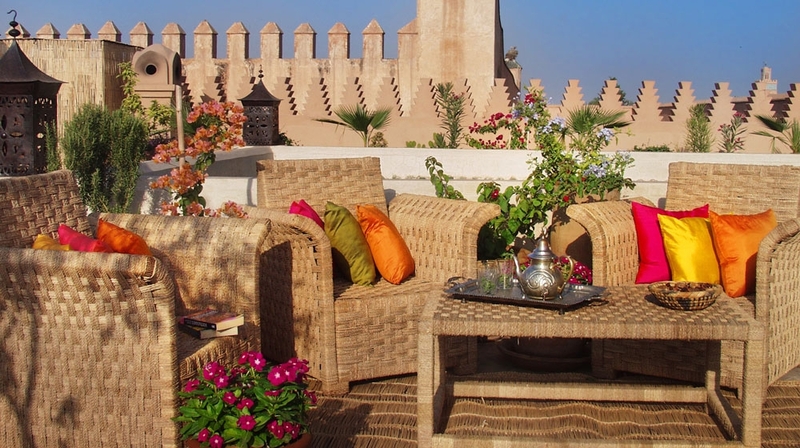 Check-in from: 15h, Check-out until: 10h, Pets allowed, 24-hour reception.